* Introductory $99 startup fee for limited time only. 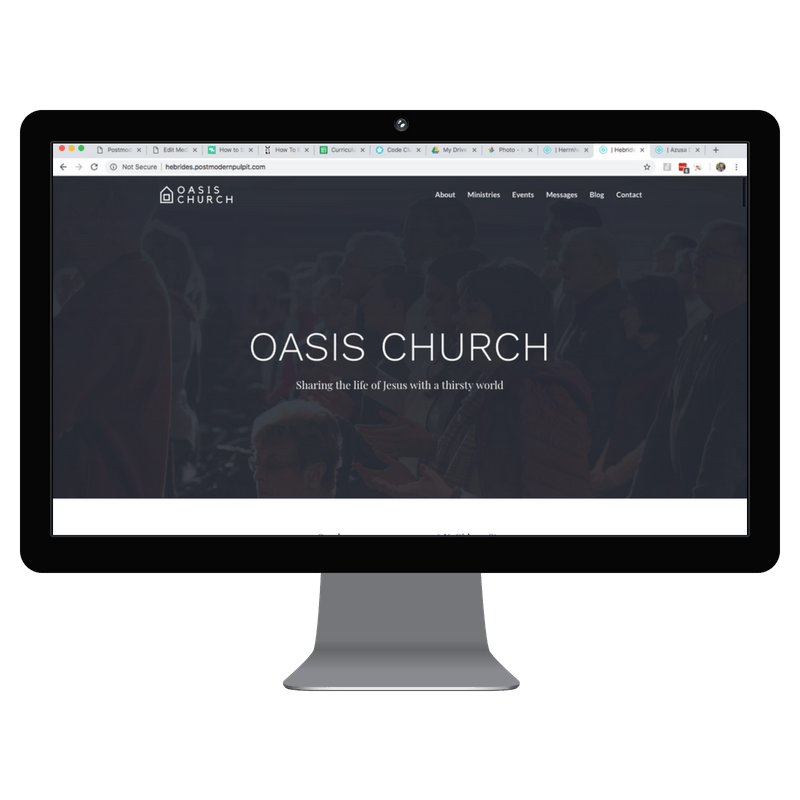 Postmodern pulpit is a great fit for churches that want a web presence that looks amazing, but don’t have the time, energy, or budget to do it. Regardless of denomination, size, age, or location, Postmodern Pulpit will be a great fit for you. Most often, it’s mega-churches looking for these features. 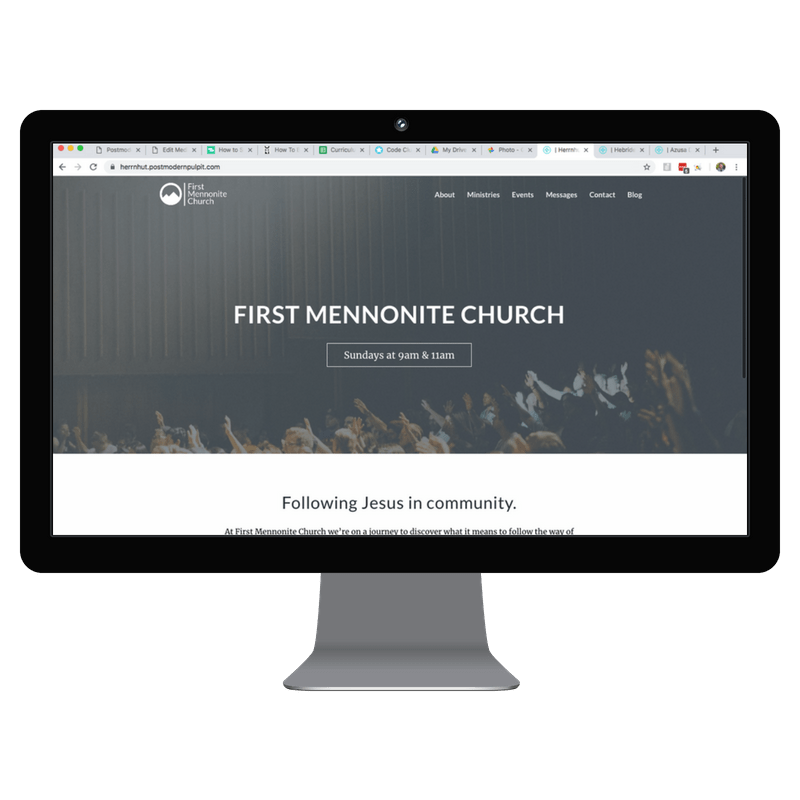 While they’re may be able to pay tens of thousands of dollars for custom websites, and have graphic designers on staff, for everyone else there’s Postmodern Pulpit. You can either pay tens of thousands for a custom website, or you can pull your hair out trying a DIY solution. Or partner with Postmodern Pulpit, get an awesome website for $50/mo, and never have to to worry about it. 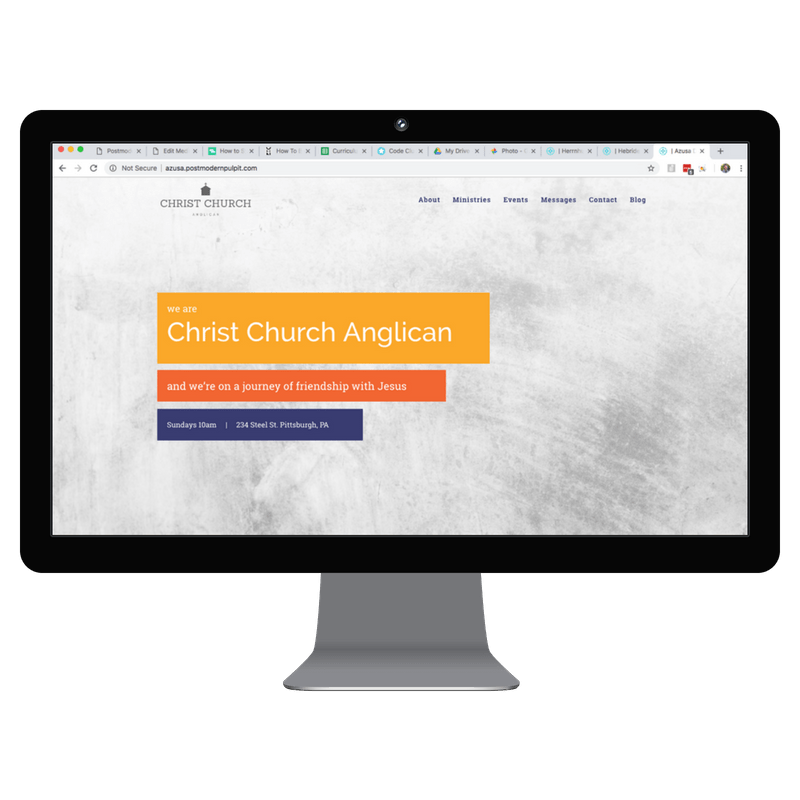 How long does it take get my website up? We work hard to keep this process as quick as possible. From the moment you fill out the content requirement form, we aim to have your website completed in 7 days. Well, more like 6 days, but we add in a Sabbath because it seemed like the right thing to do. Am I locked in for a certain number of months? Absolutely not! Unlike most web agencies (you’ll notice we’re very unusual – in a good way), we won’t lock you into any long contract. We go month to month, and you can cancel at any time. We believe the value we provide far outweighs $50/mo, and allowing you cancel at anytime will keep us working to consistently provide an amazing experience. For payment we take a credit/debit card, and run it once a month on the same day for $50. The upfront fee will be paid up front, and the $50/mo fee will be paid on the day the website launches. Need to change billing days? No problem, we’re flexible. If we cancel, do you take the site down? You must have had some bad experiences in the past… No is the emphatic answer to your question. If you cancel for any reason, the site is yours. We’ll hand you the keys and bid you good day. You will, however, be responsible for finding your own hosting solution (we’re happy to make recommendations – it typically costs $10-$20/mo for what you’ll need). If you kick in a couple bucks, we can even help you migrate the site to your new hosting platform. Our mothers ask us the same question all the time. To give you the most honest answer, we refer you back to said mothers.